Fitense sports armband combo with case is perfect for those who go to the gym or running and tried to listen to music, send a quick text or check your favorite fitness app, you know it’s almost impossible to use your phone while it's covered with a thick plastic and tied with a stiff arm band. Now with our new and revolutionary armband holster, you can easily interact with your touch screen and listen to your favorite music thanks to the creative 90° rotating system that gives you full access to the screen. 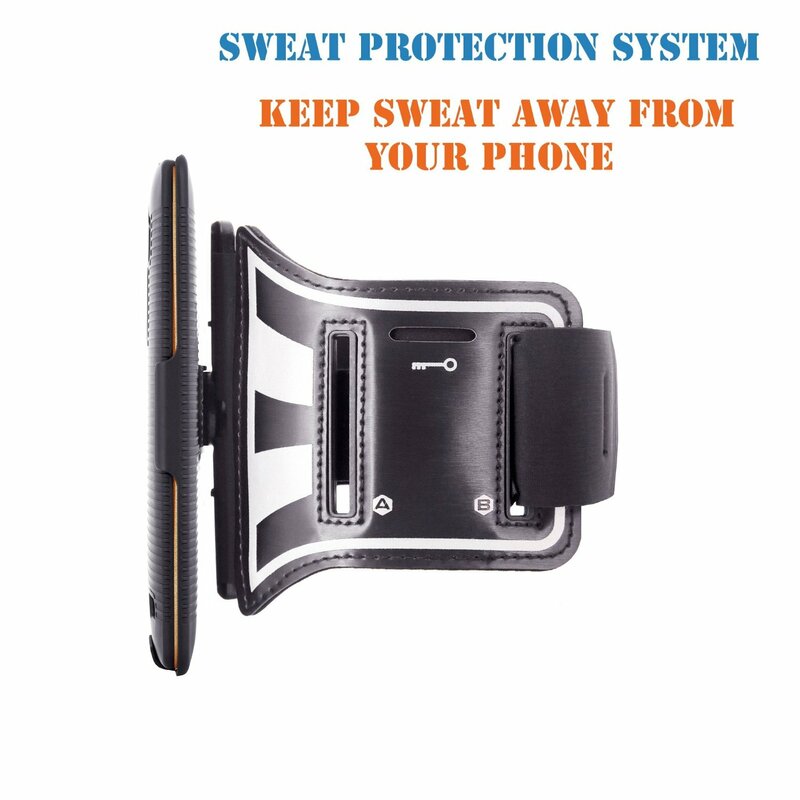 This one is for the LG G4 (5.5") Press color vibration to select the arm case compatible with your phone in order to use the workout band you should insert the phone into the case given with the combo secure running armband for LG G4 and free ultra thin hard case providing maximum protection for your phone. It is easy to use, has a great stitch and premium fabric made with soft lycra and silicone. The armband is adjustable and reinforced with strong Velcro that allows a quick, secure and a stable wrap for different arms or even wrists sizes 11 inches to 16 inches. Sweat-proof with a 5mm rotating mount keeps a constant distance between the sports case and arm, protecting your phone from moisture. Your keys are secure as fits on the side of the band. For nighttime running this has a reflective strap and a 100% satisfaction Guarantee absolutely love your LG G4 running case just return it and we will refund every penny or replace it, no questions asked. My Opinion: This is a nice armband and I am a plus sized girl with large arms unfortunately and I found that this fit barely where I wanted it but I could also move it to my wrist for a better fit. I was able to put my house key in the side after removing it from my keyring and it sat ok without falling out. Disclaimer: I got this for free or at a reduced price in exchange for an honest review from Tomoson.